Volkswagen has revealed the I.D. electric vehicle at this year’s Paris Motor Show. The car, which comes a year after the emissions scandal, outlines the German car maker’s vision of an alternately-fuelled future. The concept promises to be the first of a fleet of innovative ‘EVs’ that will hit the road in 2020. This one claims a range of between 249 and 373 miles. It can be recharged wirelessly – although quote how that would be possible given the current charging infrastructure remains unanswered. 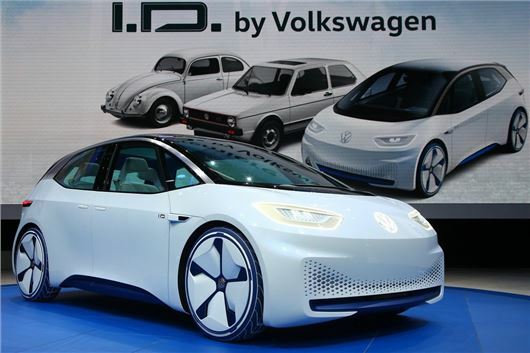 However, Volkswagen say that charging the car via the mains will result in an 80% charge after just 30 minutes. The I.D. also boasts autonomous driving – something Volkswagen says it is committed to making available to customers from 2025. By this year, it hopes to be selling one million electric cars a year around the world.